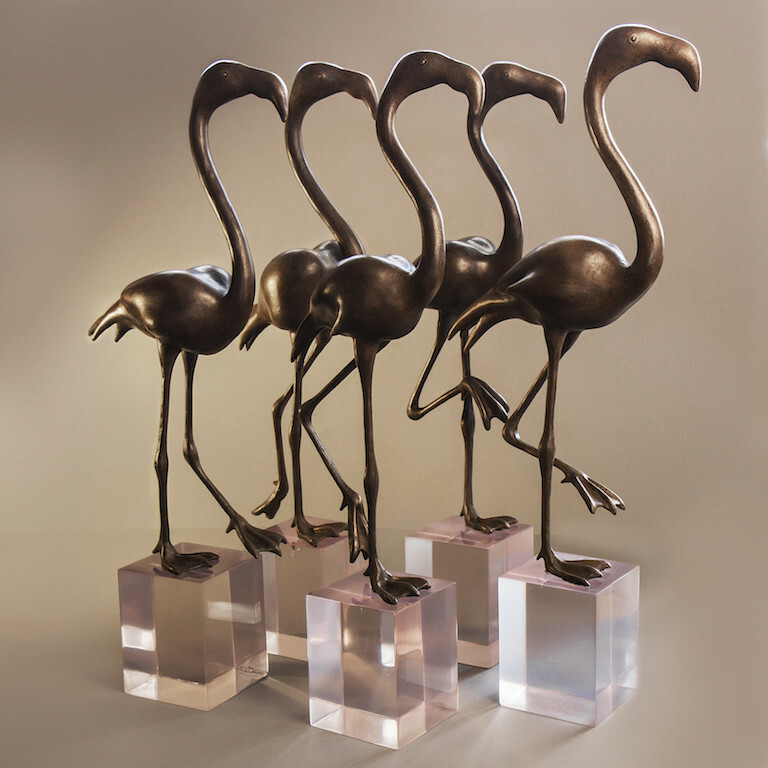 The composition for this sculpture is an attempt to encapsulate a particular moment during the wildebeests’ iconic migration, the climax of their frenzied search for the safest point to cross the river. In the melee they plunge, the bank breaching under their collective weight, each determined to avoid predators and to reach the other side. This devoted pair echo the group’s hopes for survival. 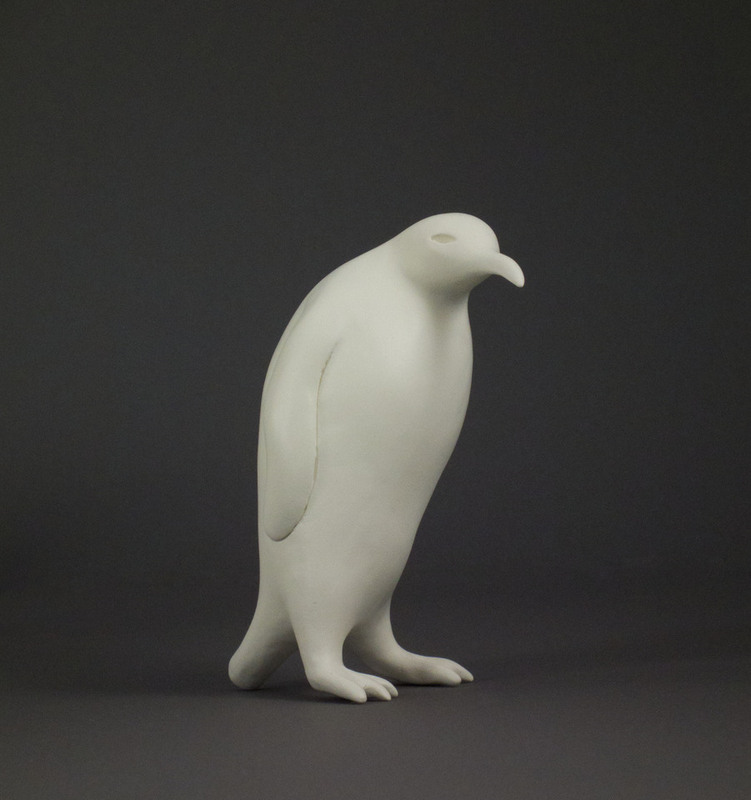 The piece is a detail taken from a larger sculpture, complete but yet to be cast. 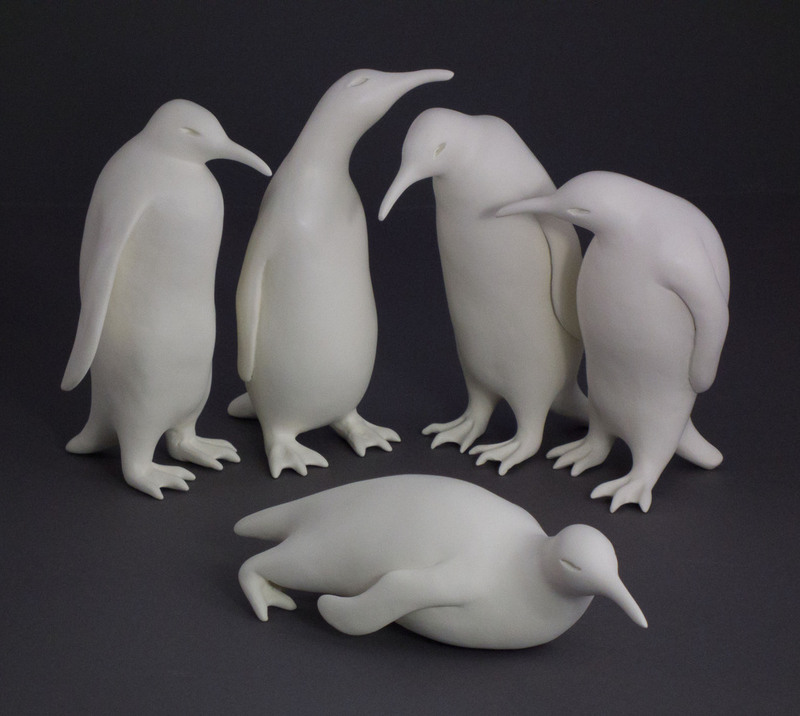 The full sculpture represents the determined cooperation of a colony (70 individual penguins) as they close their circle just before the snow storm strikes. Giraffes embody power and grace in equal measure. Often their grace is depicted ahead of their power, but in this sculpture both attributes are captured by the ritual act of young bulls ‘necking’ in order to establish hierarchical dominance. Here power exceeds grace as one bull thrusts forward and the other reels back. 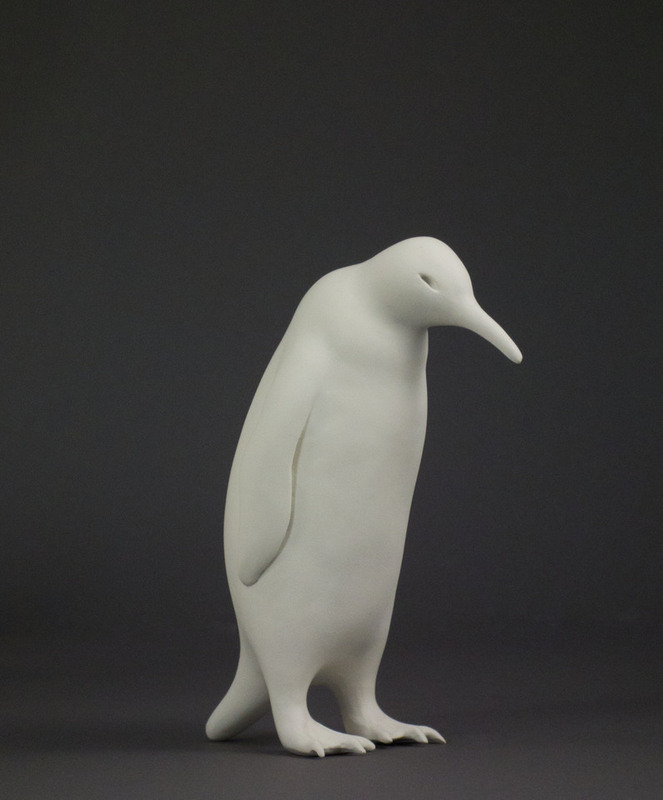 The inspiration behind this sculpture arose from a visit to my local wildlife rescue centre, Oak and Furrows. I was uplifted by the great work done by the rescue centre, and I was taken by how gorgeous our endangered native dormice are. This piece was inspired from watching a Wildlife television program featuring the rescue of orphaned elephant calves. The sculpture captures the heart-wrenching moment when the young female calf finally returns to her playfulness after grieving for her mother. 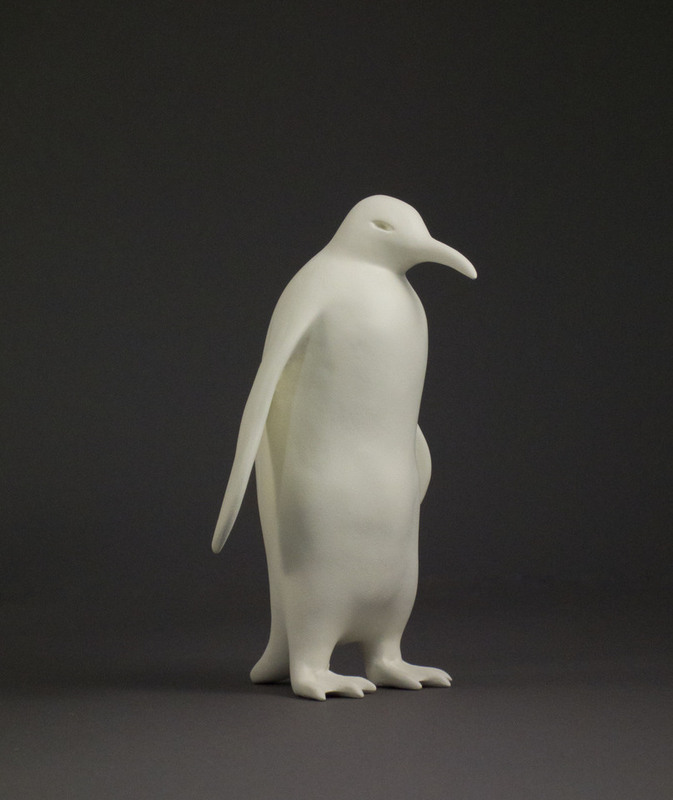 This sculpture represents the end point on the penguins’ annual traverse across the Antarctic ice barrier. Like ice, the penguins move in frozen motion before melting back into the ocean where in fluid freedom they fly in water. It could also be seen as a comment on their inter-dependence with their environment - instead of the ice melting the penguins are marching to melt-down. 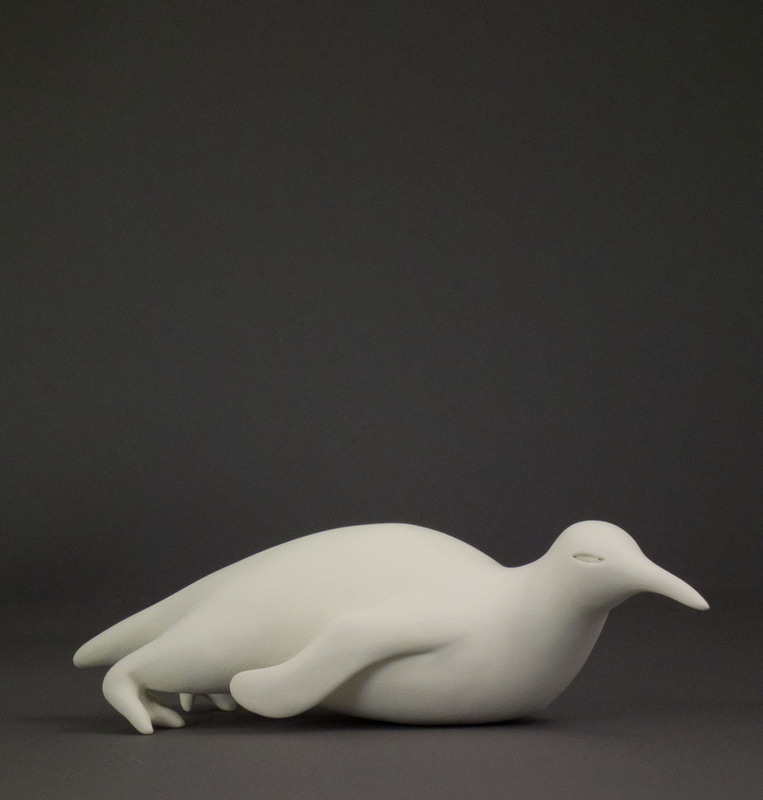 The sculpture could be seen as a play on the experience of stepping outside the circle. Standing apart from crowded convention is to allow for the risk of following your heart and being true to yourself. This sculpture is a configuration representing a colony as they begin to form a closed circle in anticipation of a snow storm. 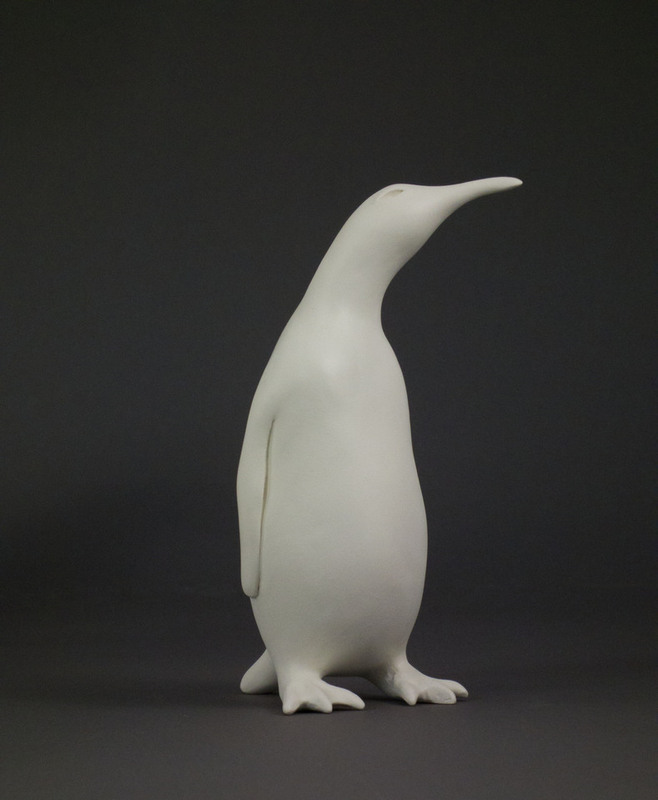 These penguins type 1 - 5 (which have been used to configure three other sculptures) are to afford the opportunity to purchase them individually and/or in small groups. 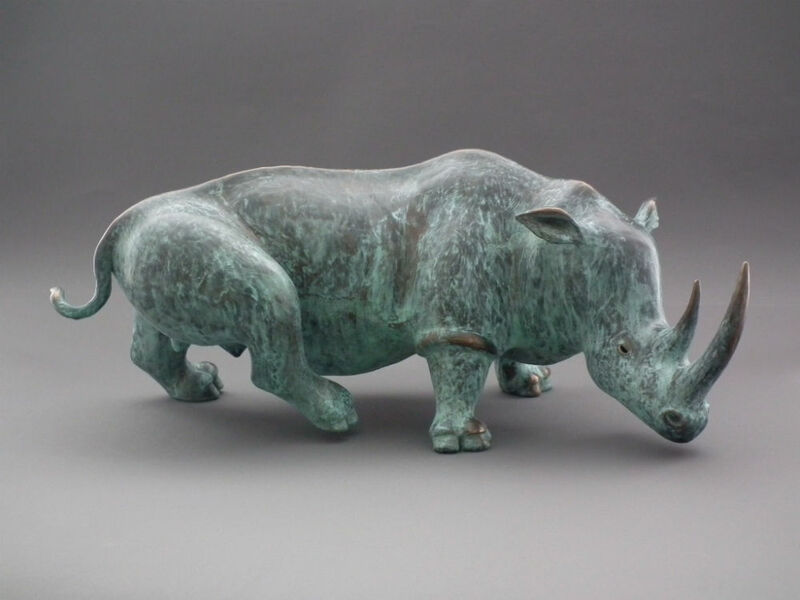 Inevitably, I wanted to sculpt and convey the sheer vitality of the Rhino’s motive force, encapsulating its power-laden attitude, whilst avoiding a disturbing examination of its distressing plight. Flamingos always seem in a collective hurry, even when standing on one leg, and more often than not the direction of their heads are synchronised wherever they're heading with an accompanying cacophony heralding their march.